We reserve the right at any time, with or without cause to change the terms and conditions of this Agreement; change the Blog, including eliminating or discontinuing any information or services or other feature of the Blog; or deny or terminate your use of and/or access to the Blog. The Services made available on, by or through the Blog, which include or may include, without limitation, Small Fry Blog registration, notifications, newsletters, message boards, and involvement in Small Fry Blog events (collectively, the “Services”), as well as any information provided on, by or through the Blog or as part of or in connection with the Services or otherwise, including but not limited to data, text, graphics, designs, logos, images, audio/visual materials, videos, links and references (collectively, the “Information”), are provided for personal use only and not for any for-profit or commercial activities or purpose or for resale. Without the written consent of SMALL FRY, no Information or any other Small Fry Blog materials or property may be copied, reproduced, displayed, republished, downloaded, posted, digitized, translated, modified, transmitted, distributed or commercially exploited in any way. Small Fry Blog permits you to view and print a reasonable number of copies of web pages located on the Blog for your own personal use, but not for any for-profit or commercial purpose or for resale; provided that (a) you retain all trademark, copyright, and other proprietary notices contained in the original materials, (b) you provide attribution to Small Fry Blog, (c) the material is printed in its entirety without modification, reformatting or adaptation of any kind, and (d) any such copies are subject to the terms and conditions of this Agreement and remain the property of Small Fry Blog. You understand and agree that you may not authorize any Information to be reproduced, modified, displayed, performed, transferred, distributed or otherwise used by any third party, and you agree that you will take all reasonable steps to prevent any unauthorized reproduction and/or other use of the Information. You agree to advise Small Fry Blog promptly of any such unauthorized use of which you are aware. Failure to abide by these conditions will immediately terminate this permission and may result in the infringement of the copyrights and/or trademarks and other proprietary rights of Small Fry Blog or others. As part of your use of the Blog, you may participate in certain comment boards, message boards, member communications and/or other public forums. Your participation is voluntary; however, by choosing to post comments, send any messages, submit any ideas or feedback, or otherwise participate in any Small Fry Blog forum, you acknowledge and agree that any postings, messages, text, photos, audio/visual works, information, suggestions, feedback, reviews or content provided by you (collectively, “Content”) may be viewed by the general public and will not be treated as private, proprietary or confidential, and you authorize us without compensation to you or others, to copy, adapt, create derivative works of, reproduce, incorporate, distribute, publicly display or otherwise use or exploit such Content throughout the world in any format or media (whether now known or hereafter created) for the duration of any copyright or other rights in such Content, and such permission shall be perpetual and may not be revoked for any reason. Further, to the extent permitted under applicable law, you waive and release and covenant not to assert any moral rights that you may have in any Content posted or provided by you. By posting or providing any Content on the Blog, you represent and warrant to Small Fry Blog that you own or have the right to use and permit us to use and license such Content in the manner stated in this Agreement. You further agree that we may use the posted or provided Content in any manner that we deem appropriate or necessary. We reserve the right to edit or abridge any Content for any reason, and to edit, refuse to post or remove any Content submitted by you or others. We cannot and do not guarantee that we will post all Content submitted or that such content will not be offensive, defamatory or objectionable. Although we reserve the right to remove without notice any Content for any reason, we have no obligation to delete Content that you personally may find objectionable or offensive. We do not control in real time the Content posted via the Services and as such do not guarantee the accuracy, integrity or quality of such Content. In addition to other disclaimers found in this Agreement, we do not endorse or make any warranties or representations with respect to the accuracy, completeness or timeliness of any Content posted on the Blog. Descriptions or images of, or references to, third-party products, services or publications on the Blog do not imply our endorsement of such products, services and publications, and we are not responsible for, and disclaim any endorsement of, any such product, service or publication. Reviews are solely the opinions of the users that post them and none of the Reviews contain or reflect any opinions or views of SMALL FRY. r) harvest or collect information about any Blog visitors or members without their express consent. Improper use of the Information, Services and Blog may result in termination of your access to and use of the Blog, and/or civil or criminal liabilities. The Blog is privately owned and operated by Small Fry Blog, and the Information and Services (and any intellectual property and other rights relating thereto) are and will remain the property of Small Fry Blog. The Information and Services may be protected by U.S. and international copyright, trademark, and other laws, and you acknowledge that these rights are valid and enforceable. Except as set forth in this Agreement, you may not copy, reproduce, modify, adapt, translate, republish, upload, post, transmit, distribute, sub-license, sell, reverse engineer, decompile, or disassemble any part of the Blog or any Service or Information without our prior written permission. The Information, Blog, and Services may be used solely (a) to the extent permitted in this Agreement or (b) as expressly authorized in writing by Small Fry Blog or, if so indicated in writing by SMALL FRY, its licensors or suppliers. Use of the Blog or any Services or Information for any other purpose is strictly prohibited. You acknowledge that you do not acquire any ownership rights by using the Blog or any Services or Information. The trademarks, logos, and service marks displayed on the Blog (collectively, the “Trademarks”) are the registered and unregistered trademarks of Small Fry Blog and others. Nothing contained in this Agreement or the Blog should be construed as granting, by implication, estoppel, or otherwise, any license or right to use any Trademark(s) without the express written permission of SMALL FRY or the third party owner of any such Trademark. You hereby affirm that you are over the age of 12, as this Blog is not intended for children under 13. If you are under 13 years of age, then you may not use the Blog. You further affirm that you are fully able and competent to enter into the terms, conditions, obligations, affirmations, representations, and warranties set forth in this Agreement, and to abide by and comply with this Agreement. The Digital Millennium Copyright Act (the “DMCA”) provides recourse for copyright owners who believe that material appearing on the Internet infringes their rights under U.S. copyright law. If you believe in good faith that materials hosted by Small Fry Blog infringe your copyright, you (or your agent) may send us a notice requesting that the material be removed, or access to it blocked. The notice must include the following information: (a) a physical or electronic signature of a person authorized to act on behalf of the owner of an exclusive right that is allegedly infringed; (b) identification of the copyrighted work claimed to have been infringed (or if multiple copyrighted works located on the Blog are covered by a single notification, a representative list of such works); (c) identification of the material that is claimed to be infringing or the subject of infringing activity, and information reasonably sufficient to allow Small Fry Blog to locate the material on the Blog; (d) the name, address, telephone number, and email address (if available) of the complaining party; (e) a statement that the complaining party has a good faith belief that use of the material in the manner complained of is not authorized by the copyright owner, its agent, or the law; and (f) a statement that the information in the notification is accurate and, under penalty of perjury, that the complaining party is authorized to act on behalf of the owner of an exclusive right that is allegedly infringed. If you believe in good faith that a notice of copyright infringement has been wrongly filed against you, the DMCA permits you to send us a counter-notice. Notices and counter-notices must meet the then-current statutory requirements imposed by the DMCA; see http://www.loc.gov/copyright for details. Notices and counter-notices with respect to the Blog should be sent to the agent identified below. We suggest that you consult your legal advisor before filing a notice or counter-notice. Also, be aware that there can be penalties for false claims under the DMCA. This Agreement is effective from the date that you first access the Blog or submit any information to Small Fry Blog, whichever is earlier, and shall remain effective until terminated in accordance with its terms. Small Fry Blog may immediately terminate this Agreement, and/or your access to and use of the Blog, or any portion thereof, at any time and for any reason, with or without cause, without prior notice. This Agreement will also terminate automatically if you fail to comply with any term or provision of this Agreement. Upon termination of this Agreement by either party, your right to use the Blog shall immediately cease, and you shall destroy all copies of information that you have obtained from the Blog, whether made under the terms of this Agreement or otherwise. All disclaimers and all limitations of liability and all Small Fry Blog rights of ownership shall survive any termination. We reserve the right at any time and from time to time to modify, discontinue, temporarily or permanently, the Blog, or any part or portion thereof, with or without notice to you. You agree that we shall not be liable to you or to any third party for any modification, suspension or discontinuance of the Blog, or any part of portion thereof. Nothing in this Agreement shall be construed to obligate Small Fry Blog to maintain and support the Blog, or any part or portion thereof, during the term of this Agreement. USERS USE THIS SITE AND ATTEMPT ANY DO IT YOURSELF REMEMDIES, FORMULAS, RECIPES, AND THE LIKE AT THEIR OWN RISK. THE BLOG, INCLUDING BUT NOT LIMITED TO THE INFORMATION AND SERVICES, ARE PROVIDED “AS IS” AND “WITH ALL FAULTS” AND WITHOUT WARRANTIES OF ANY KIND, EITHER EXPRESS OR IMPLIED, AND ALL WARRANTIES, EXPRESS OR IMPLIED, INCLUDING, WITHOUT LIMITATION, IMPLIED WARRANTIES OF TITLE, NON-INFRINGEMENT, ACCURACY, COMPLETENESS, MERCHANTABILITY, FITNESS FOR A PARTICULAR PURPOSE, ANY WARRANTIES THAT MAY ARISE FROM COURSE OF DEALING, COURSE OF PERFORMANCE OR USAGE OF TRADE, AND ANY WARRANTIES THAT THE INFORMATION AND BLOG IS CURRENT AND/OR UP-TO-DATE ARE HEREBY EXPRESSLY DISCLAIMED TO THE FULLEST EXTENT PERMISSIBLE UNDER APPLICABLE LAW. THERE IS NO WARRANTY, REPRESENTATION OR GUARANTEE THAT THE BLOG, OR YOUR USE OF THE BLOG, WILL BE UNINTERRUPTED, COMPLETE, ACCURATE, CURRENT, RELIABLE, ERROR-FREE, SECURE, OR THAT ANY PROBLEMS WILL BE CORRECTED, OR THAT THE BLOG, OR ANY INFORMATION, SOFTWARE OR OTHER MATERIAL ACCESSIBLE FROM THE BLOG, IS FREE OF VIRUSES OR OTHER HARMFUL COMPONENTS. WE DO NOT WARRANT, GUARANTEE, OR MAKE ANY REPRESENTATION REGARDING THE USE OF, OR THE RESULTS OF THE USE OF THE BLOG EITHER IN TERMS OF ITS COMPATABILITY WITH HARDWARE OR OTHER SOFTWARE OR EQUIPMENT, AND YOU ASSUME ALL RESPONSIBILITY AND RISK FOR YOUR USE OF THE BLOG AND/OR SERVICES AND INFORMATION AND YOUR RELIANCE THEREON. NOTWITHSTANDING THE FAILURE OF ESSENTIAL PURPOSE OF ANY LIMITED REMEDY OF ANY KIND, NEITHER SMALL FRY BLOG NOR ANY OF ITS LICENSORS, SPONSORS, AGENTS, SUCCESSORS, OR ASSIGNS, NOR OUR OR THEIR DIRECTORS, OFFICERS, EMPLOYEES, CONSULTANTS, OR OTHER REPRESENTATIVES, ARE RESPONSIBLE OR LIABLE FOR ANY INDIRECT, INCIDENTAL, CONSEQUENTIAL, SPECIAL, EXEMPLARY, PUNITIVE, OR OTHER DAMAGES (INCLUDING WITHOUT LIMITATION ANY LOSS OF PROFITS, LOST SAVINGS, OR LOSS OF DATA) OR LIABILITIES UNDER ANY CONTRACT, NEGLIGENCE, STRICT LIABILITY, OR OTHER THEORY ARISING OUT OF OR RELATING IN ANY MANNER TO THE BLOG, INFORMATION, SERVICES AND/OR ANY LINKED BLOG, WHETHER OR NOT WE HAVE BEEN INFORMED OF THE POSSIBILITY OF SUCH DAMAGES OR LIABILITIES. YOUR SOLE REMEDY WITH RESPECT TO THIS BLOG, THE INFORMATION, SERVICES, OR ANY LINKED BLOG IS TO STOP USING THE BLOG, SERVICE, OR LINKED BLOG, AS APPLICABLE. NEITHER SMALL FRY BLOG NOR ANY OF ITS LICENSORS, SPONSORS, AGENTS, SUCCESSORS, OR ASSIGNS, NOR OUR OR THEIR DIRECTORS, OFFICERS, EMPLOYEES, CONSULTANTS, OR OTHER REPRESENTATIVES WILL HAVE ANY LIABILITY TO YOU FOR ANY DAMAGES, EXPENSES OR OTHER LIABILITY INCURRED BY YOU AS A RESULT OF (1) ANY INACCURANCY, INCOMPLETENESS OR MISREPRESENTATION OF ANY INFORMATION, CONTENT, POSTINGS OR SUBMISSIONS PROVIDED OR POSTED ON THE BLOG BY THIRD PARTIES OR (2) YOUR HIRING OR ENGAGEMENT OF, OR ASSOCIATION WITH, ANY THIRD PARTY ADVERTISING OR OFFERING SERVICES THROUGH THE BLOG. You agree to fully indemnify, defend, and hold Small Fry Blog, our licensors, suppliers, agents, successors, and assigns and our and their directors, officers, employees, consultants, and other representatives, harmless from and against any and all claims, damages, losses, costs (including reasonable attorneys’ fees), and other expenses that arise directly or indirectly out of or from: (a) your breach of this Agreement, including but not limited to the Acceptable Use Policy; (b) any allegation that any materials you submit to us or transmit to the Blog infringe or otherwise violate the copyright, patent, trademark, trade secret, or other intellectual property or other rights of any third party; (c) your activities in connection with the Blog or other Blogs to which the Blog is linked; and/or (d) your negligence or willful misconduct. 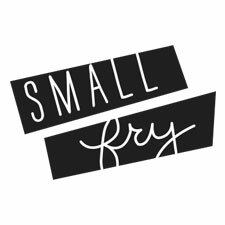 Small Fry Blog makes no representation that the Blog operates (or is legally permitted to operate) in all geographic areas, or that the Information, Blog, or Services are appropriate or available for use in other locations. Accessing the Blog from territories where the Blog or any content or functionality of the Blog or portion thereof is illegal is expressly prohibited. If you choose to access the Blog, you agree and acknowledge that you do so on your own initiative and at your own risk, and that you are solely responsible for compliance with all applicable laws. Under California Civil Code Section 1789.3, California Blog users are entitled to the following specific consumer rights notice: The Complaint Assistance Unit of the Division of Consumer Services of the California Department of Consumer Affairs may be contacted in writing at 1625 N. Market Blvd., Suite S-202, Sacramento, California 95834, or by telephone at (800) 952-5210. This Agreement shall be governed by and construed in accordance with the laws of the State of Utah, excluding that body of law relating to conflict of laws. The parties agree that any controversy or claim arising out of or relating to this Agreement, or the breach thereof, will be settled by binding arbitration in accordance with Utah Code of Civil Procedure and the then current rules. The arbitration shall be a confidential proceeding, closed to the general public. The arbitration will take place in Utah and be conducted in the English language. The decision rendered by the arbitrator will be binding upon the parties hereto, and any judgment upon the award rendered by the arbitrator may be entered in any court having jurisdiction thereof. The parties consent to the jurisdiction of all federal and state courts in Utah. Venue will lie exclusively in Utah County, Utah. For the sake of clarity, nothing in this paragraph shall affect SMALL FRY’s ability to seek from a court injunctive or equitable relief at any time. If any provision of this Agreement is found to be unlawful, void, or for any reason unenforceable, then that provision shall be deemed severable from this Agreement and shall not affect the validity and enforceability of any remaining provisions. This is the entire Agreement between you and us relating to the subject matter herein and supersedes any and all prior or contemporaneous written or oral agreements between you and us with respect to such subject matter. This Agreement may not be changed, waived or modified except by Small Fry Blog as provided herein or otherwise by written instrument signed by SMALL FRY. Neither this Agreement nor any right, obligation, or remedy hereunder is assignable, transferable, delegatable, or sublicensable by you except with SMALL FRY’s prior written consent, and any attempted assignment, transfer, delegation, or sublicense shall be null and void. Small Fry Blog may assign, transfer, or delegate this Agreement or any right or obligation or remedy hereunder in its sole discretion. No waiver by either party of any breach or default hereunder shall be deemed to be a waiver of any preceding or subsequent breach or default. Any heading, caption, or section title contained in this Agreement is inserted only as a matter of convenience and in no way defines or explains any section or provision hereof. This Blog is Operated by Small Fry Blog, LLC.